While I like getting surprise gifts, I totally LOVE giving them. The excitement in the recipient's eyes cannot be compared to anything! I believe that 80% of the present is in its package, so I always approach the process of gift wrapping with the utmost care. Here are two sweet tutorials on how to make your own packaging and leave an unforgettable impression! 1. 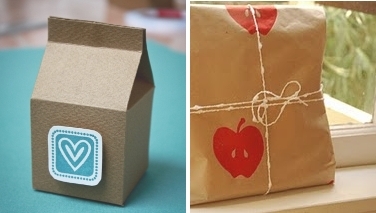 Cute and Clever Gift Packaging Idea by Gabi of Bee-Inspired. 2. Handmade Gift Wrap by Nikki of BIRCHseed. 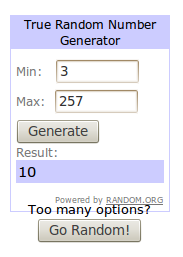 And talking about gifts, it is just the right time to announce the winner of the Wonderfully Magical Giveaway With JessicaC. Congratulations Ada! I am sending your contact information to the talented Jessica, so expect an email from her! Thank you all for participating! 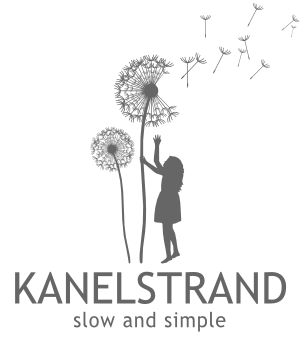 Don't be discouraged if you didn't win because very soon there will be a new and fresh opportunity for you on the Kanelstrand blog. Check back next week to take part in another exciting giveaway! What great tutorials! The little milk carton one is fantastic! I appreciate receiving a gift that has an equally thoughtful package surrounding it. Thanks so much for sharing them! Cute packaging! Thank you for sharing!